See Jaimy Foy killing it with his heavy crew of friends on this SOTY trip. Sit back for a good 16 minutes and be prepared! Dit bericht werd geplaatst in Deathwish, Shake Junt, Spitfire, Thunder en getagged met deathwish, jaimy foy, shake junt, soty, spitfire, Thunder op 20 maart 2018 door admin. SOTY doing SOTY-worthy tricks! Check Jamie Foy in the newest Knows clip by Thunder. His pro truck will be with us soon! Dit bericht werd geplaatst in Deathwish, Shake Junt, Spitfire, Thunder en getagged met deathwish, jamie foy, soty, spitfire, Thunder op 27 februari 2018 door admin. Congrats Kyle Walker!! Well deserved! 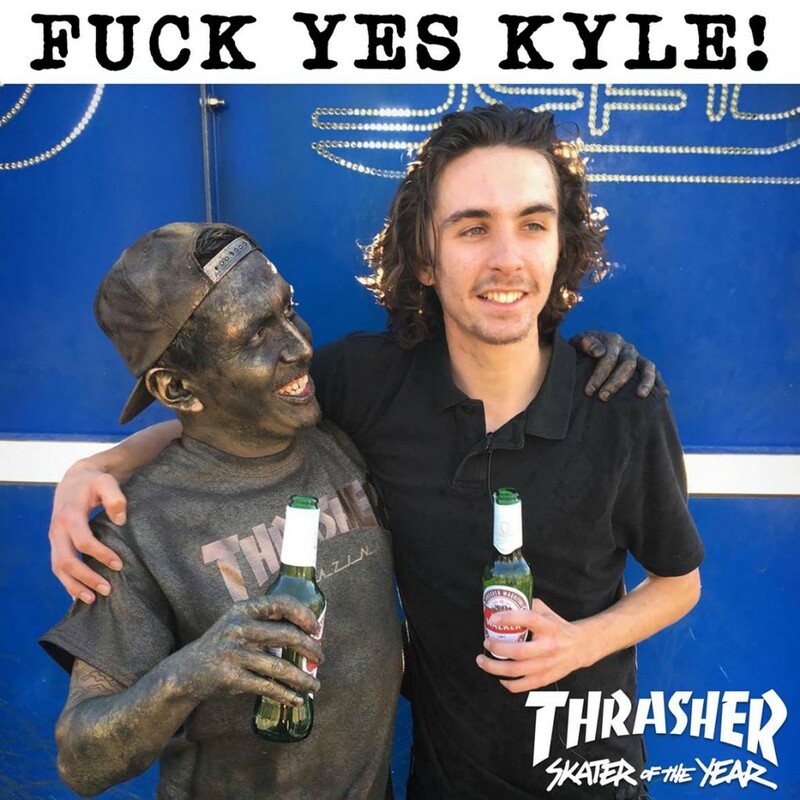 Dit bericht werd geplaatst in Real, Spitfire, Thunder en getagged met kyle walker, real skateboards, skater of the year, soty, spitfire wheels, thrasher magazine, thunder trucks op 6 december 2016 door admin.